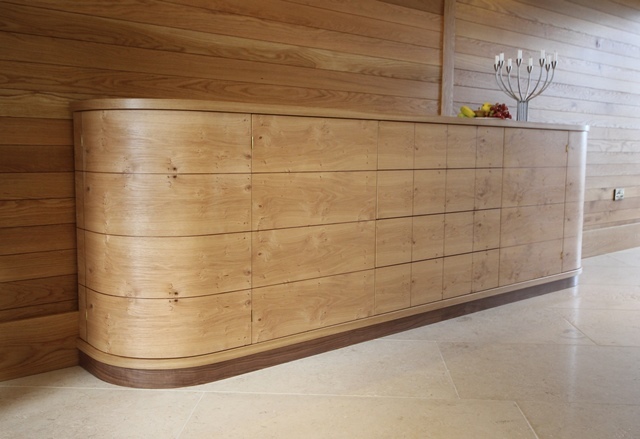 This stunning oak cabinet has been much admired – by us; by the client and by anyone who saw it in the workshop before we delivered it. 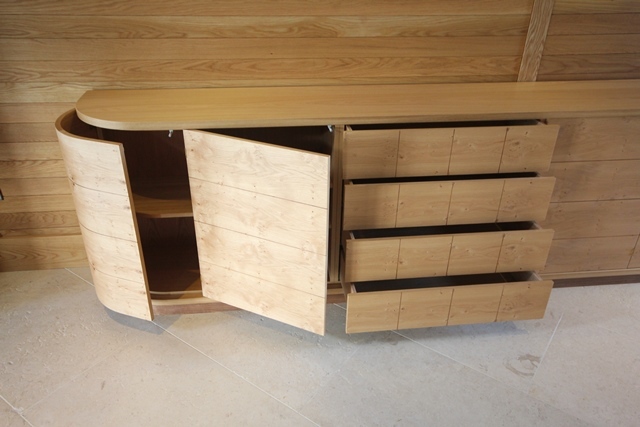 The cabinet is 3 meters long and provides the clients with lots of practical storage whilst also creating a beautiful object to grace the room. 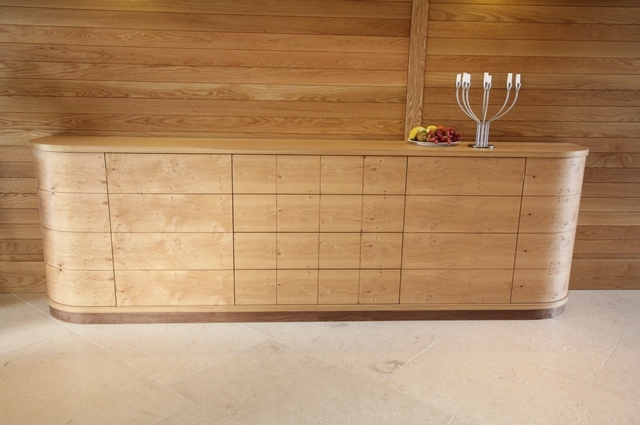 Behind the uniform, sleek lines of the front are 4 cabinet doors and 4 drawers. 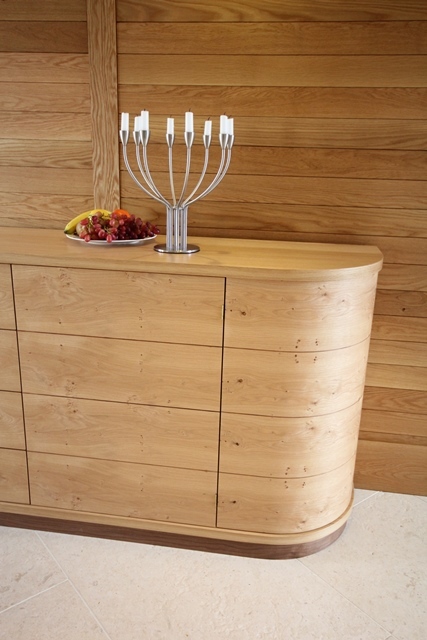 This design can be adapted to other sizes and other timbers.